In this week’s wine blog I want to share and update you on several items I hope you’ll find interesting. I have been reading The Wall Street Journal for years and one of my favorite columns is Lettie Teague’s “On Wine.” The column appears weekly in The Journal’s “Off Duty” section of the weekend edition. I know I have mentioned her column before but I highly recommend you put it on your weekly reading list. If you don’t subscribe to The Wall Street Journal’s print edition that’s ok as the column is available in The Journal’s online edition at www.wsj.com or Lettie posts her column on her Facebook page here as well as her Twitter account here. A couple fun things to know about Lettie: First, she is a Hoosier. Lettie was born and raised for a time in South Bend, Ind. 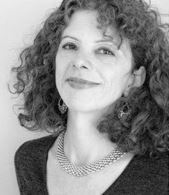 Further she is an accomplished writer and author. I find her weekly column interesting, informative and she always seems to write about great topics…it is an easy and fun read. 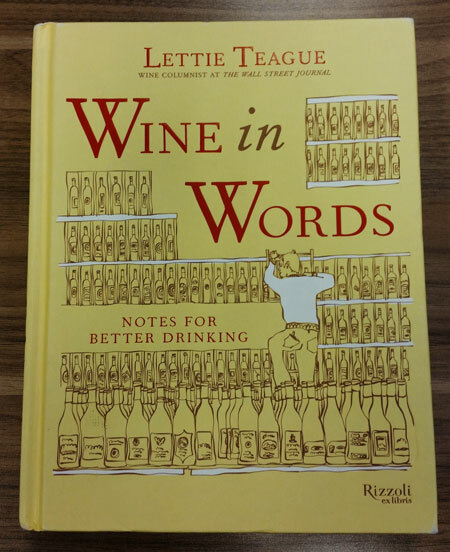 I am a big collector of books on wine and food and when Lettie’s latest book “Wine in Words: Notes For Better Drinking” came out (this is her third book) I was eager to get a copy. If you are interested in taking a look at the book it is available at Amazon for around $20.00 in hardcover. You can find the link here. It is also available in an electronic version but I am old fashioned and still buy hardcover books. I like the book because it isn’t one of those huge encyclopedias on wine that tries to include everything ever written about wine in one book. When I started going through the book I found that it contains a lot of good and useful information on wine “stuff” you should or might want to know about if you are into wine. This isn’t a book you’ll sit and read from cover to cover…it is more like a good reference manual with something for everyone. I agree with that statement and I highly recommend this book for your library and, oh yes…it goes well with a glass of red wine. I am always on the lookout for good wines to purchase for my wine cellar. I buy and collect my wines from many different sources around the country. I get emails daily on special wine offerings, I am on a number of winery mailing lists and friends are always sharing their latest wine sources with me. Part of the fun I have being involved in wine is looking for that good bottle of wine at a great price…wherever that might be. This isn’t to say that everyone doesn’t have good wine shops to buy from in their own area. 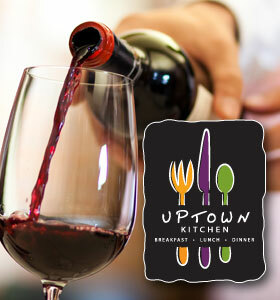 Most of these stores have knowledgeable folks in them who can offer expert advice on wine. Locally the Chalet Party Shoppe on County Road 17 has a large selection of wines to choose from. Stan Minden heads the wine department at this store. 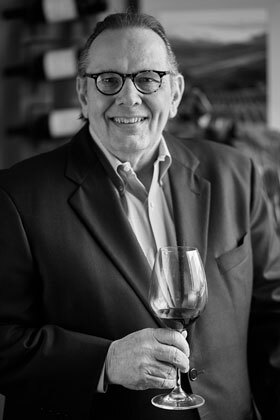 Stan and I have tasted many wines together over the years and I know from firsthand experience that he has a great palate, is very knowledgeable about wine and enjoys looking for value wines for his customers. I would say the same thing about wine team at the City-Wide Liquors stores in Mishawaka and South Bend. Both of these groups have some excellent wines to choose from. Wines purchased from the Mt. Carmel Wine & Spirits Co. in Hamden, Conn.
A good friend of mine, Kevin Geenty who hails from Connecticut, is one of the friends who shares wine information with me. Kevin is another real estate guy and a wine connoisseur. Kevin has a good wine palate and for years has collected lots of wine for his personal wine cellar. He has a passion for old world wines and lots of our wine conversations are about French wines. I know from past experience that Kevin has a favorite wine shop in his area: the Mt. Carmel Wine & Spirits Co. The store is located in Hamden, Conn. According to its website Mt. Carmel Wine & Spirits has been in business since the repeal of prohibition. One of the things I enjoy about the wine experience is walking the aisles of a wine store or browsing the inventory list on a website looking for a rare wine or reasonably priced wines from around the world. 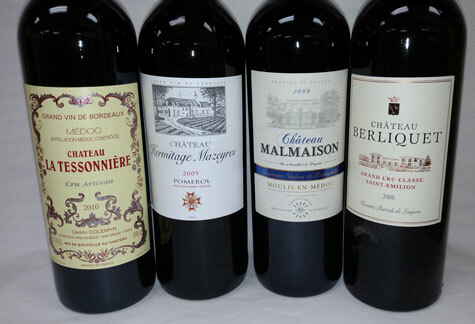 The Mt Carmel store has lots of wines to choose from and its inventory list has a good deal of French wines on it. Some of the wines offered are rare, hard-to-find older vintages, while others are younger, cellar worthy wines. Some of the wines, depending on what they are, are pricey but most seem to be priced right and are a good value. Mt. Carmel Wine & Spirits Co. If you call, you can ask for Bob, Ben or Eric and I am sure they’ll be pleased to assist you. Wines served at the Bontreger’s wine club. I first met Kent and Becky Bontreger several years ago at a French wine dinner at Lucchese’s restaurant. Since that time I have discovered their passion for wine and enjoyed seeing and visiting with them at many of our wine events. The original premise of the club was for its members to get together, taste wines from a specific region or vineyard, then in the future travel to that region and visit the wineries and vineyards there. They haven’t made any trips yet, but I know there is a trip to Tuscany planned for this coming October. 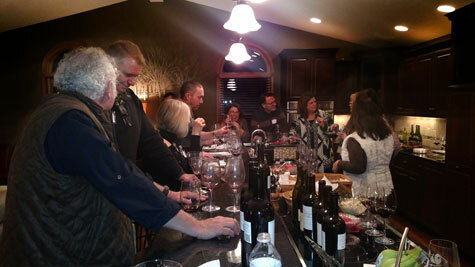 The wine club enjoyed some great food paired with Carl’s wines. After tasting those four wines we did a three vintage, vertical tasting, of our Tiedemann Signature Series, Bordeaux-style, Red wine. We tasted, all at once for comparison, the 2009, 2010 and 2011 Tiedemann. It was great fun and provided for good discussion on which was liked the best. The Club has yet to agree on a name, but there are several under consideration. Becky tells me that perhaps they’ll vote on the name again this spring. The Club meets every couple months, usually at the Bontreger’s home in Middlebury. Normal attendance is around 25 to 30 wine drinkers. There is always plenty of food to pair with the wines. It was a good group and made for a very enjoyable evening. Becky tells me they are not necessarily looking for new members, but if you measure up to the Club’s membership requirements of liking wine and wanting to learn more about it and feel you might have an interest in the club, drop Becky an email at beckyis2@aol.com and let her know of your interest. Thanks for the good wine information in your blog. I always find something of value and interest in each posting. Thanks also for keeping readers informed of Bear’s progress against cancer. Glad to hear that remission seems at hand. Just curious about purchasing wine from the Mt. Carmel Wine & Spirits Company: can any schmuck make a purchase from this vendor or are purchases limited to only licensed distributors in Indiana? Our state’s weird and antiquated liquor laws have thwarted my attempts at out-of-state wine club purchases before. 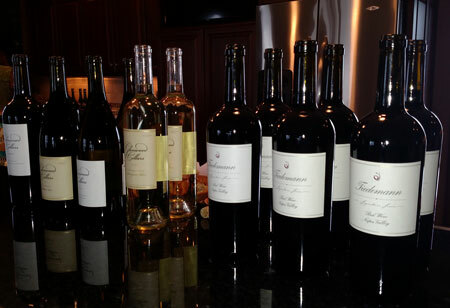 WOW…I would have enjoyed that vertical tasting of your Tiedemann Signature Series Wines! I think that I have tasted all of them over the years, and noted that they were all excellent, yet each vintage was uniquely distinct. Sounds like the wine club that meets in Middlebury has an interesting and appealing agenda for promoting interest and knowledge of wine. They obviously have an astute taste in fine wines if they are sampling the Tiedemann Signature Series! CHEERS, and keep the good info coming. Hello Phil. Nice to hear from you and I hope you and your wife are well. Yes, Mt Carmel Wine & Spirits is a wine shop for everyone. Even Hoosiers, like you and I can purchase wine there. Adler Bear’s cancer is currently stable and he is back in Kindergarden. Next week he is back at the hospital in Chicago for his quarterly MRI. We are hoping for good results. You should try out the wine club. 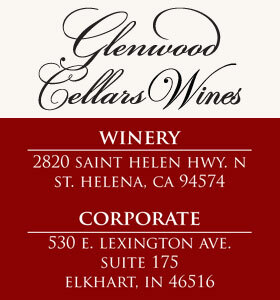 It is a great group of folks and they really, like you, love wine. It was a great evening. All the best and hope to see you at one of our events soon.